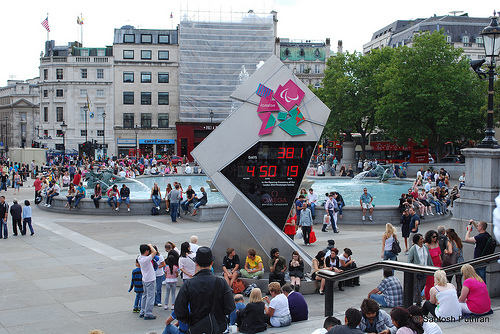 London is one of the world's fascinating, cultural, diverse, and pleasurable cities. You can spend a week in it, two weeks or more, without feeling the time go by at all. It has some of the best museums in the world, and top quality theatre, which started with Shakespeare and has continued with a fantastic tradition that can be seen on the stages every night. It also has some of the best musicals in the world, excellent clubs, some of the best soccer teams in the world (Arsenal, Chelsea, West Ham and Tottenham), wonderful parks, bookshops and clothes shops which tempt you to constantly be getting your wallet out. It even has excellent food, contrary to the reputation of British cuisine. And we still haven't said a thing about the palaces, markets, department stores and parks. Five days is a sound and reasonable suggestion. You can also spend a week or more in the city, but the high prices force us to cut the trip slightly short. Choosing the neighborhood in which to lodge or stay in is very important. A large part of the essence of the visit is determined by where you stay. Our strongest recommendation is the Bloomsbury district at the center of town, right next to the British Museum. The Covent Garden and Soho areas, south of Bloomsbury, are also considered to be good places to stay.The cheaper options are further away from the center of London (neighborhoods such as Earl's Court or Finsbury). You should make sure there's an Underground station near to your hotel. The London Underground train system is the cheapest and fastest way to get around the city. It's not necessarily the most enjoyable, due to the crowdedness, and because when you take the Underground, you don't see the streets and views that London has to offer. Another option, which is cheaper but not always fast, is to take buses. The bus system is convenient but the problem is the traffic jams. London's famous black cabs are a third means of transportation – they're not fast and quite expensive, but convenient. You can go to London at any season. Winter is the season which is least pleasant in the city. The cold can freeze you to the bone. The wind is chilly, and spending time outside of heated environments isn't easy. At the same time – this is the cheapest season for London's hotels. Autumn and spring are the most pleasant seasons, and summer too may be suitable, although it's usually rainy.